As we roll into the weekend following the first presidential debate, things have quieted down some as most pollsters are in the field gauging public opinion after the events of Wednesday night took the snow globe, turned it upside down and shook it rather vigorously. Now that the globe is back on the table, we wait. We wait for the flakes to settle in and give us the proper picture of what the new normal -- to the extent there is something new to it -- is in this race for the White House. There were some poll releases on Saturday, but nothing like what we are likely to get once we get into next week. The information that did emerge is consistent with the comments FHQ made on Friday. There is some evidence to suggest that the peak margin of Obama's lead was reached last week sometime and that the trajectory -- perhaps even more so now post-debate -- is headed downward. 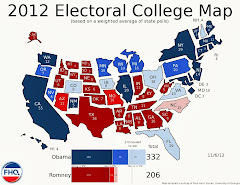 That isn't to say that Obama's weighted average is necessarily headed south, but rather that the margin in toss up states may be narrowing. Saturday's polls tell that same tale. The two polls out of Colorado were a bit of a mixed bag. Romney up four in one poll and Obama leading in the other. The Gravis poll slightly understates Obama's support relative to the pre-existing FHQ weighted average and indicates a pretty good jump for Romney (...again, compared to the FHQ average of the governor's support). On the other hand the Selzer survey was in line with the Obama average once these polls were added into the dataset and understated Romney's. But again, the divergent results -- polling volatility -- are more a function of the snow globe being shaken up. Subsequent polls will help us to determine where the true measure of the race is. Compared to the last -- pre-debate -- PPP survey of the Badger state, the margin in this one is down 5 points overall (from a seven point gap before to just two points now). Poll-to-poll, Obama is down three and Romney up two. The effect is that the trajectory of the race -- if not the FHQ weighted average -- in Wisconsin is turning around some. If subsequent polling backs this up then the margin will have peaked earlier this past week before shifting in the other direction; narrowing. None of the three polls had much of an impact on the various graphical representations of the race FHQ provides. In the parlance that we have come to adopt of late, these polls were (re)calibrating surveys. 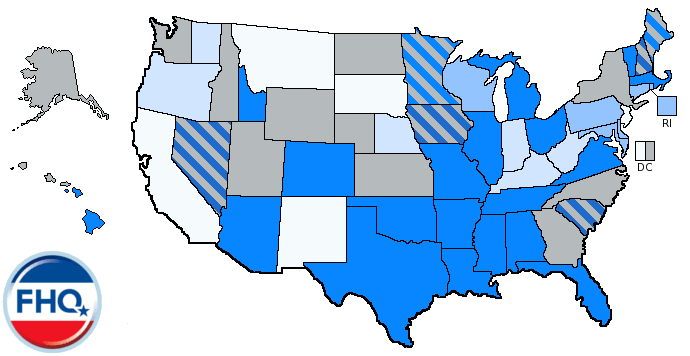 The new data altered the averages without affecting the overarching ordering of states involved. In other words, the debate effect has been felt -- so far -- in a uniform fashion; that Colorado remains a little to the right of Wisconsin. ...still. 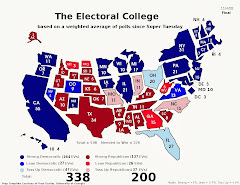 As a result both states remained stationary on both the map and on the Electoral College Spectrum below. Very briefly, the Watch List -- the handful of states within a fraction of a point of changing categories in the FHQ weighted averages -- held steady as compared to the list a day ago. 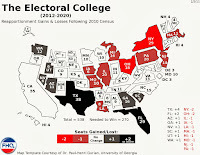 At just six states, the list is limited, but that could change depending upon where the polling takes us as we move into a new week.